These hunts include 6 days of guided hunting on our private ranch, 7 nights lodging, all meals and non-alcoholic beverages. 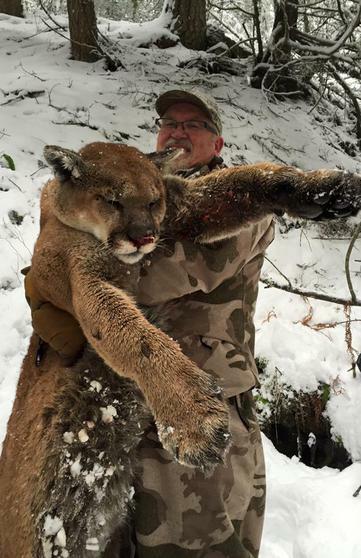 An Idaho Mountain Lion hunt is the most exciting and challenging hunt in North America. 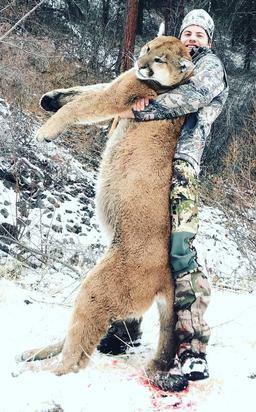 With more big cougars in the record books than any other state, Idaho stands alone as the premier location for big mountain lions. At Mountain View we hunt private land so we have the distinct advantage of using our extensive road system to not only find the freshest tracks, but to close in on the lions quicker and more efficiently. We use 4×4 vehicles; ATV’s and snowmobiles to locate a track depending on weather conditions. At Mountain View we run well trained, experienced hounds with GPS tracking equipment. 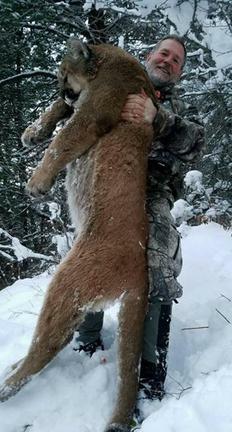 This gives you the best opportunity to harvest a trophy mountain lion. We hunt lions from December through March but if you are somewhat flexible on your dates it will give you the best chance for success. 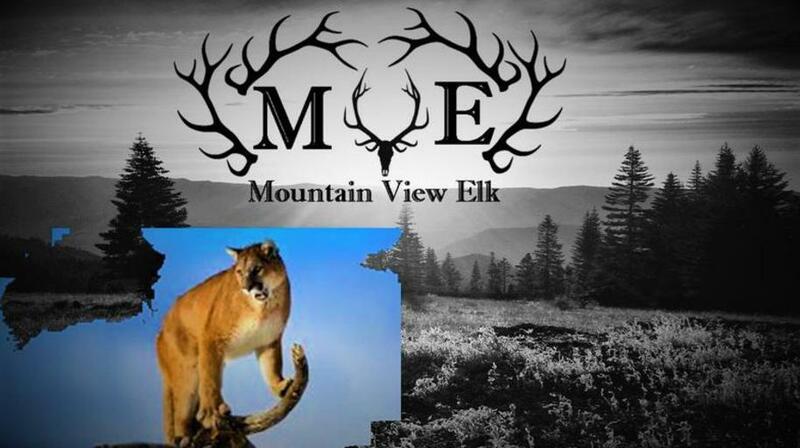 Mountain Lion tags are sold over the counter and we can assist you in purchasing them. 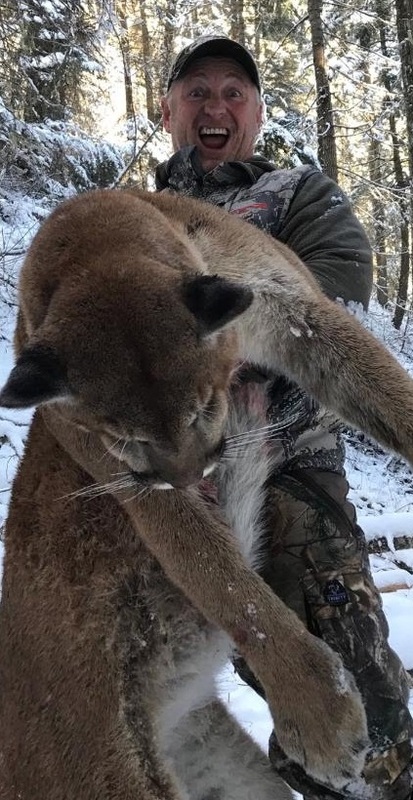 Our mountain Lion hunt is combined with a wolf hunt to offer you the opportunity to hunt two of North America’s most elusive species in the same hunt. Our large private ranch gives us an opportunity to use our extensive road system to locate a pack and get within shooting distance without being interrupted by other hunters. 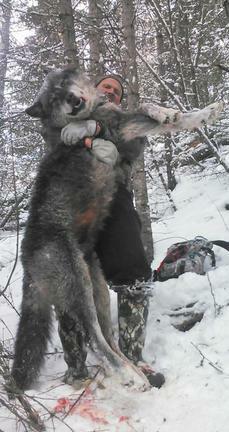 Wolves can cover up to 30 miles a day in rough terrain which can make wolf hunts low success and extremely challenging but whether you are successful or not, an Idaho winter wolf hunt is an adventure you will never forget! So join us on one of our 6 day/7 night Mountain Lion/ Wolf combo hunts and have the wintertime adventure of a lifetime!